Port numbers to Fastmetrics managed phone services, seamlessly. Keep your entire business phone number directory when shifting to a Fastmetrics business phone system or hosted VoIP solution. We start your number port by assigning temporary phone numbers to your new Fastmetrics phone service. We then forward all calls to your old numbers through to the temporary ones - no delays or confusion. Once number porting is complete, we remove the forwarding and your business experiences seamless number porting to your new phone service, on our privately managed voice network - which never travels on the public Internet, for quality of service. Free number porting is included with ALL Fastmetrics managed voice services. 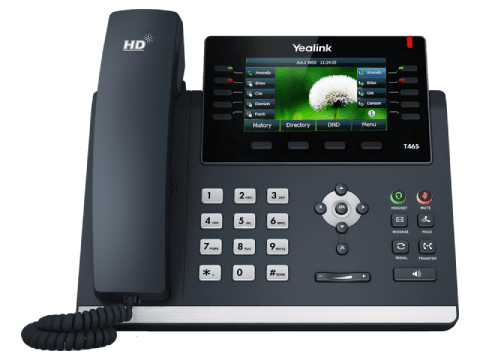 Contact us today to inquire about upgrading your business phone system to a flexible and locally supported service. We ended up upgrading to bundle hosted VoIP. Our phone numbers were ported without drama and we have saved lots of money, which is always nice. Free unlimited calls to North America and cheap long distance. How long does it take port phone numbers? It can take up to 30 days, (usually less), for number porting to our voice network to be processed. During this period, you won't miss a call. Your assigned temporary numbers receive all calls from your old numbers, until number porting is complete. For any inquiries, contact a Business Voice Expert on 1-800-724-7100. This is a little different than a standard number port. You must request a toll free number port form from Fastmetrics. To port your current 1-800 number from a different company to Fastmetrics, submit a Toll Free Order. It is part of a “Resporg” or “Responsible Organization” function. When you fill out this form, make sure that you answer everything correctly or this may cause delays. Return your request form and we take care of the rest.